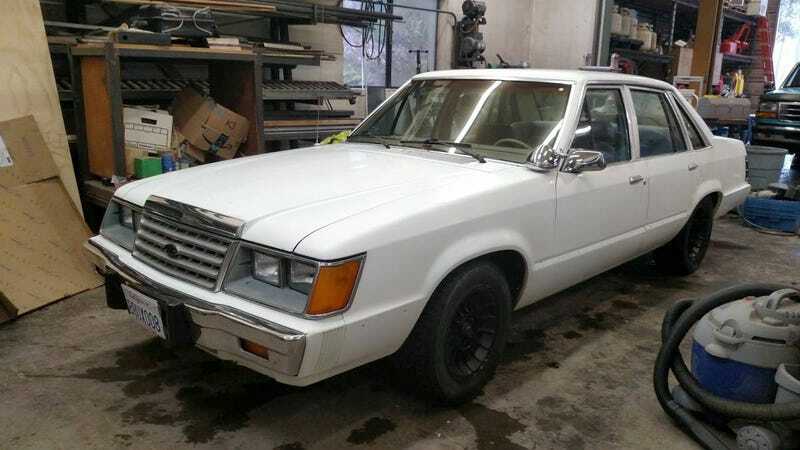 At $3,200, Might This 1985 Ford LTD Interceptor Prove An Arresting Deal? In general terms, to say something is limited implies constraint, either in availability or capability. In the case of today’s Nice Price or Crack Pipe LTD Interceptor, that limit is your imagination, and maybe, its price. It is my opinion that On Her Majesty’s Secret Service is the best of all the Bond movies. It featured a new Bond, George Lazenby, tasked with a new and daunting assignment: marriage. It even featured a new car. Yes, it was still an Aston Martin. In place of the silver DB5 with all the spy stuff however, Lazenby drove a wide-grille DBS that eschewed geegaws for wing mirrors and paint that sadly was a rather unfortunate shade of green. Aston Martins would feature in future Bond films alternatively as evidence of the character’s impeccable and eclectic taste, and in service as a talisman, much like his iconic martini. That’s not to say that James Bond didn’t drive a hell of a lot of other cars over the course of his 24-film career. There have been Lotus Esprits, 2CV Vans, a Sunbeam Alpine, Toyota 2000GT roadster, and, of interest to us yesterday, a BMW Z3 Roadster. No, we didn’t have a Z3 from one of the Bond films, but instead a 1998 Z3 Roadster in the same color combination and drivetrain configuration as the one used in Bond 17, otherwise known as Goldeneye. That film connection may have been tenuous—hey, I’m wearing pants and James Bond wears pants. Simpatico!—but at just $5,300 the tidy little Bimmer was able to muster a solid 65-percent Nice Price win all on its own. And after all, who doesn’t like a happy ending? There’s not too many happy endings happening in the back seats of police cars. At least that’s my expectation, having never ended up there myself. No, for a good time in a cop car you’re really going to want to be in the front seat. And from the looks of the front seat in this 1985 Ford LTD Interceptor it’s been the source for a lot of good times. 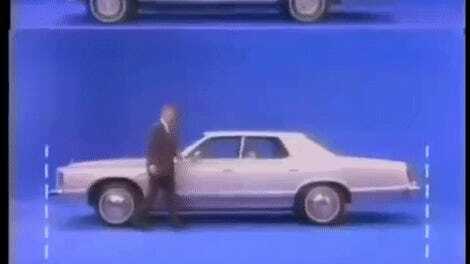 The LTD started life as the top trim level on the full size Ford Galaxie. Over the ‘70s and into the ‘80s that full size turned to fun size as the LTD nameplate transitioned down to the the Panther platform and then to that of the Fox body. The ’83 through ’86 LTD models were in essence just tarted up and more aerodynamically attuned Fairmonts. That being said, they were a hell of a lot better looking and, being from the mid-eighties, came imbued with a number of Fox body performance parts. The hottest LTD of this era was the LX which was given the 165-horsepower/245 lb ft of torque Windsor V8. The 302 was given throttle body fuel injection and denoted as H.O. on the air cleaner. That was for High Output. Laughable now, but it was pretty impressive back then. A four-speed AOD transmission completed the drivetrain package. The Interceptor police package was built off the LX and added to the basic performance upgrades bigger brakes, fatter swaybars, a remote trunk release, and an available A-pillar mounted spotlight. This one exhibits all that stuff in a body that looks as anonymous as cafeteria food and seemingly just about as tired. The ad says that the 111,000 mile car is original right down to its AM radio and the rubber floor covering that laughs at your puke. The rest of the interior looks like it’s had a lot of asses in it and is the worse for wear as a result. Extra gauges pop from the passenger side dash while the driver’s side gets what’s likely the world’s biggest gas gauge next to a tiny, but 140 mph ‘certified calibration’ speedo. The engine bay is as dirty as the rest of the car, but is seemingly all complete, including its double snorkel air cleaner and aforementioned decal. The seller says the car runs ‘very well’ and that the transmission does its thing without issue. There are a few problems, however. One of the window motors has given up the ghost, and both the heater (core) and A/C (R134, but not enough of it) are on the fritz. Also there’s a bunch of mismatched keys so prepare to jingle like a Christmas sleigh every time you take the car out for a drive. The bodywork is serviceable, although the rear bumper looks like something you wouldn’t want to touch without your shots being all up to date. Some badging is also absent. On the plus side, there are Mustang Turbines in the wheelwells. Additionally, car comes with a clean title and has apparently passed its California emissions test. The price is $3,200 which admittedly is a lot for an old Fox body that’s not a Mustang with a V8 or turbo four. But then, this is a V8 and it’s a rare Interceptor which should be a ball to cruise around in if you’re into such things. Are you into it enough to let that $3,200 price off with a warning? Or, does that asking make your interest even more limited? Sacramento, CA Craigslist, or go here if the ad disappears. H/T to Twig Mouse for the hookup! At $5,300, Could You Form A Bond With This 1998 BMW Z3 Roadster?